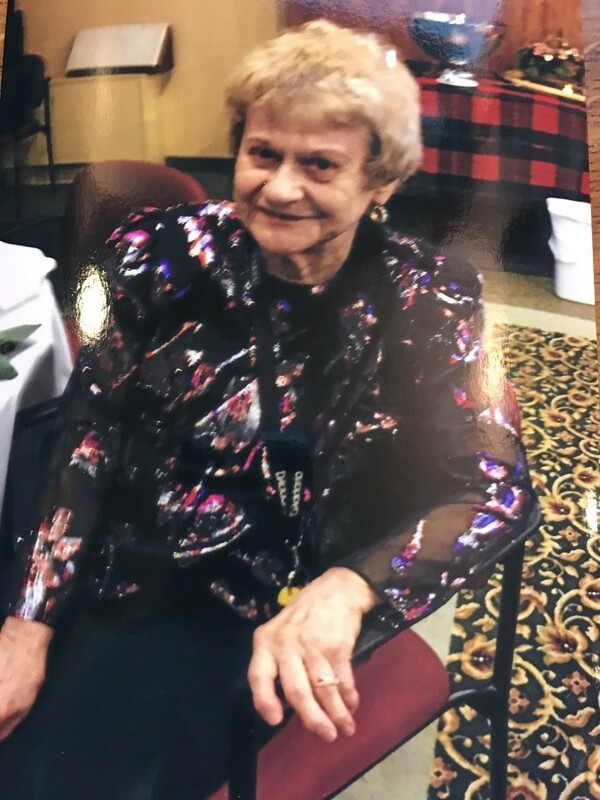 Gloria M. Deady, 88 of Windsor locks, passed away peacefully Thursday, March 21, 2019. Born in Van Buren, ME, on May 26, 1930 to the late Fred and Bertha (Levesque) Bouchard. In life, Gloria had many hobbies. Gloria enjoyed making ceramics and sharing those with her family and friends. She enjoyed collecting and making Angels that she would say watched over and kept her safe. Many days you could find Gloria working with other residents at Stonebrook Village making puzzles. She found the challenge of the puzzle exciting and always enjoyed the conversation. Her greatest love was her boys, who left this world too soon, but were always a strong presence in her life. Gloria was predeceased by her brother John and is survived by her brothers, Rosaire Bouchard of CT, and Lucien Bouchard of FL; her sisters, Alexina Caron of ME, Patricia Martin of CT, Dorilda Laroche of CT, Lorraine Beulieu of ME and many nieces and nephews. Gloria is also survived by John and Elaine Szewc of CT who have been a part of her life so long she thought of them as her children. John and Elaine have 3 children whom Gloria was proud to call her grandchildren, Nicole Prior of MA, Melissa Jones of CT, Erin Duggan of MA; she also has 2 great grandson, Chase Prior and Riley Duggan. Gloria is predeceased by her husband Francis Deady, Sr., and her sons, Francis Jr., Wayne, David and Glen Deady. A Mass of Christian Burial will be held on Saturday, April 13, at 10AM at St. Mary Church, 42 Spring Street, Windsor Locks, CT. Burial will be private. In lieu of flowers please make a donation to any Catholic charity of your choice in Gloria’s name.